Follow the hashtag #loweclass – and check out the new Twitter handle @loweclass for tips, resources, ideas, examples that student and young journalists, journalism educators, etc., would appreciate. The tweets are by @herbertlowe and @miralowe. I learned something while witnessing a great News University webinar, "Social Media in the Classroom," that should hopefully make things better for me and my students – especially for their live tweeting assignments and our interaction on Twitter and Facebook. OMG! Why didn't I think of #loweclass before? I maintained a mandatory Facebook group for each of my three courses last year at Marquette. Each time I wrote a new blog post meant having to put it into each group. Now, having a single #loweclass Facebook group means one post reaches all of my current and former students. I also require my students after every class to tweet about something they learned that day. Again, they must use their class hashtag, which means I have to look at three different hashtags – way too cumbersome and complicated – and the students only follow their respective conversation. Using #loweclass instead creates a single conversation and would better help me make sure everyone's in it. Yes, it could even help me take attendance. Click the image to see a collection of short stories about how each of my classes use Twitter, Storify and other digital tools to develop real-time reporting, writing and social media curating skills. Each semester my digital journalism students compete in a much anticipated "AP Style Bowl." 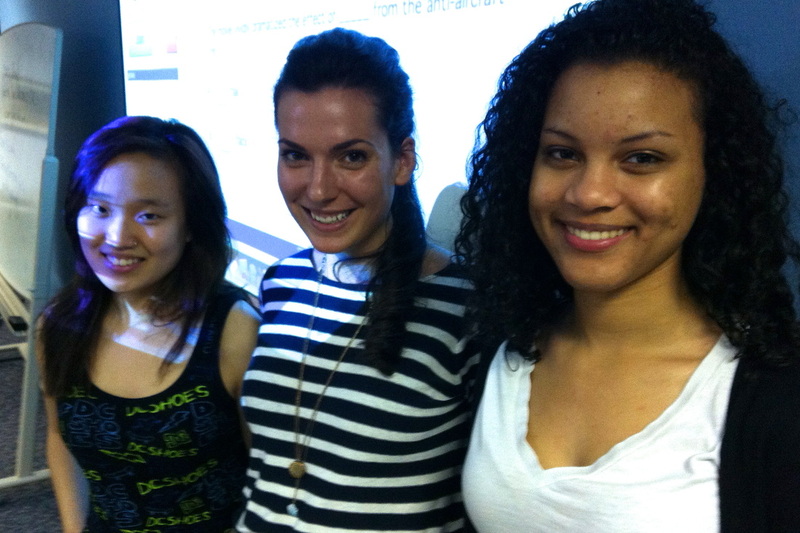 Spring 2012 best (l-r): Kaitlyn Farmer, first; Emily Pettinger, second; Monique Collins, third. Click image to see how my Digital Journalism II class each term produces stories for a professionally edited news service focusing on nonprofits that provide services to residents. Courses taught (with related short stories) in the Journalism and Media Studies Department, Diederich College of Communication, Marquette University. Students focus on learning to tell stories online using text, images, audio, video, data and social media for course projects, including one published by the professionally edited Milwaukee Neighborhood News Service. Students also maintain blogs, “live tweet” events and curate social media. In this introductory course, students learn basic journalism skills and mandates (including Associated Press style) and to write with clarity, consistency, accuracy and authority for print, online and broadcast mediums. They also “live tweet” events and curate social media. A seminar for sophomores, juniors and seniors focusing on how the media report on professional and amateur sports. Students maintain blogs, "live tweet" campus events, create Storifys and make class presentations on major sports-related issues and how sports journalism use social media. 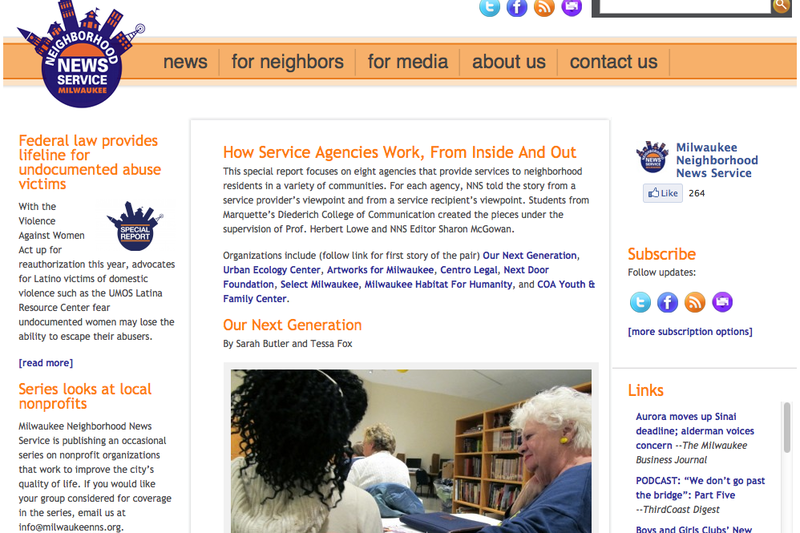 Students focus on learning to tell stories online using text, images and audio for projects published by the professionally edited Milwaukee Neighborhood News Service. 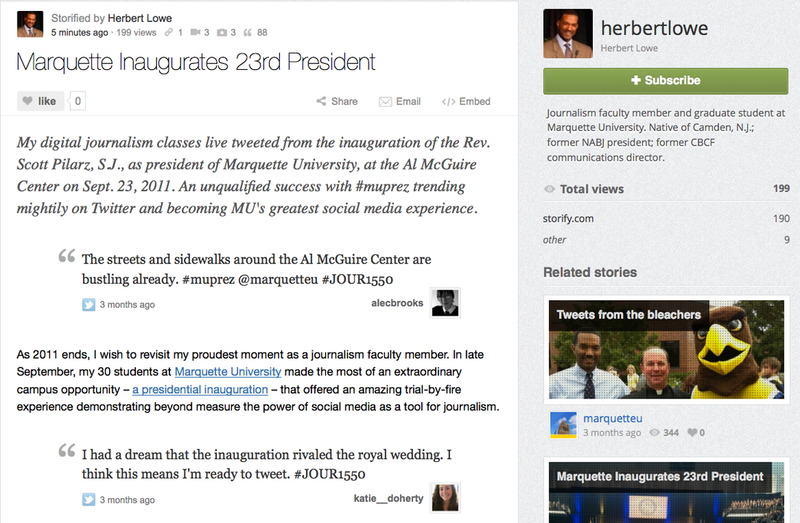 Students also maintained blogs, “live tweeted” events and used Storify to curate social media. A seminar for upperclassmen that focuses on how the media cover major campaigns and elections, in particular, the battle for the 2012 presidential election. Students maintain blogs, “live tweet” campus events, create Storifys and make class presentations on other hotly contested elections of national interest as well as traditionally significant campaign issues. A seminar for upperclassmen in which students learn how the media covered the 20th century’s most notable events – from the Titanic to World War II to the civil rights movement to the O.J. Simpson trial – and how today’s journalists would cover comparable moments.